Barry Brown is the former president of Mount Ida College. 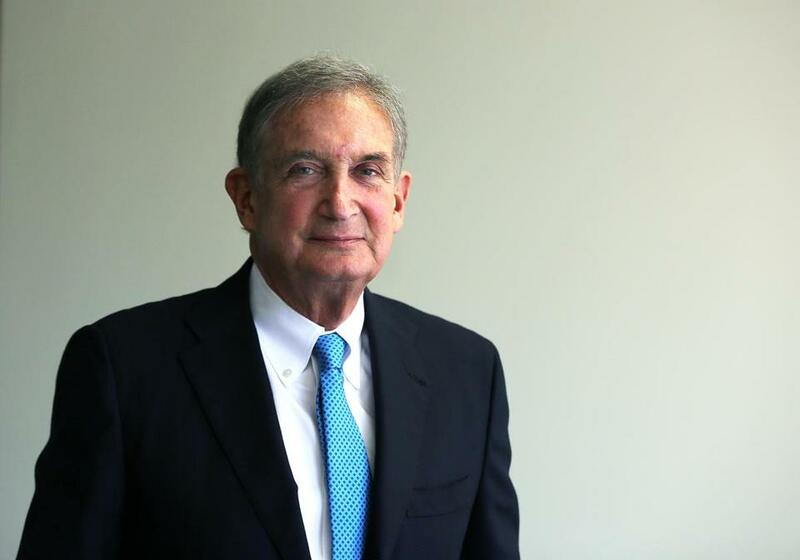 Former Mount Ida College president Barry Brown, in his first public interview about the school’s closure, blamed its shutdown on Lasell College’s unexpected change of the terms of a merger the two schools had been pursuing for more than a year. Brown said he believes Mount Ida did everything it could to stay open and ultimately made the best decisions it could at the time. The school’s chaotic closure in May disrupted the lives of hundreds of students, who found out just weeks before the end of the academic year that the college would not reopen in the fall. Several hundred new students had been accepted for the coming semester, and many of the more than 60 faculty had already signed contracts for the next school year. The college failed to notify the state Department of Higher Education or its accreditors or have in place a plan for how students would finish their degrees; many had to find their own places to continue their studies. “We thought we were doing everything correctly with Lasell and with [accreditors],” Brown said. The shutdown triggered not only outrage from families but also an investigation by Attorney General Maura Healey, whose office is probing whether Brown and the trustees violated their legal obligation to act in the school’s best interest. Brown said the attorney general’s office has not contacted him. In an hourlong interview recently, Brown, who had served as college president since 2012, discussed the school’s closure, the future of other small colleges, and his relationship with a private family trust that loaned millions to Mount Ida as it grew more desperate for cash. Mount Ida was sure that the merger it was negotiating with nearby Lasell College would happen, Brown said — so sure that Mount Ida had already admitted a new class of students. But then Lasell notified him six weeks before the end of the school year, in late March, that Lasell’s lenders would not approve the merger, Brown said. When that happened, Lasell changed the terms of the proposal in a way that Mount Ida trustees felt ceded too much control to Lasell, Brown said. “It was not the sense of a culture of equals that had been [discussed],” Brown said in the interview, held on the 27th floor of a downtown building at the office of his attorney, Howard Cooper. Brown said trustees rejected the deal because it was different from what had been discussed previously — in terms of finances and protection for Mount Ida students and staff — but he said he could not divulge specifics because they are subject to a confidentiality agreement. He also said there were questions about whether the renewed offer would ensure Lasell had enough resources to operate Mount Ida. Mount Ida trustees later issued a statement rejecting the notion that it came down to control. They said they rejected Lasell’s final offer because they worried Lasell was an unreliable partner that might walk away. Lasell College president Michael Alexander confirmed that, indeed, his school’s public debt holders would not quickly approve the merger because of Mount Ida’s debt. Instead, he said, Lasell changed the structure of the deal to one that bondholders would not have to approve so it could be finished quickly, before Mount Ida ran out of cash. That structure gave Lasell more control over Mount Ida, according to Alexander. He said it was those terms that Mount Ida rejected. But he said he does not understand why Mount Ida trustees chose to close the school instead. Alexander also rejected the Mount Ida trustees’ statement that Lasell was unreliable. Brown said even with the knowledge that the school did not have enough cash to keep operating, Mount Ida trustees believed it would be better to end negotiations with Lasell altogether. He said they then turned their attention to University of Massachusetts Amherst, where he knew officials were potentially interested in a deal. Two weeks after the Lasell deal collapsed, UMass trustees announced a tentative deal, which later became final, to buy the Mount Ida campus in Newton and allow students from the closed school to transfer to UMass Dartmouth. Some students took that option, but many could not because UMass Dartmouth didn’t offer their specific fields of study. Brown also answered questions about his relationship with Rosalie Stahl, a wealthy New York woman whom he has advised on financial and real estate matters for decades. The Stahl family loaned $23 million to the school in its final years and donated $8 million several years prior, documents show. When the college closed, the family agreed to forgive nearly half of what it was owed. Brown is a trustee of Stahl’s family trust, but he would not say whether he is the sole trustee or whether he has power of attorney for her. Experts in college governance have described his dual roles as a conflict of interest, though he and the college have insisted otherwise. The Stahl family has so far been quiet about its involvement at Mount Ida. However, Rosalie Stahl’s daughter, Robyn Stahl, recently sent an e-mailed statement on behalf of her family to the Globe, expressing support for Brown’s efforts for the college. “We were aware of the college’s mission, progress, and worthwhile goals and believe our financial support helped in this effort. Far from a conflict, we believe he had only the goal of supporting the students and the college,” Robyn Stahl wrote. Brown said he believes he was a good trustee of Stahl’s money in making the loans to Mount Ida. “That transaction was undertaken properly, undertaken with outside representation,” he said. Brown, 71, said he forfeited a severance payment he would have received as a result of the closure. He would not say the amount. He said he hopes to return to teaching law. UMass has not approached him, he said. Brown said he feels bad about the outcome at Mount Ida and was sad that students asked him not to attend the school’s final graduation. “If Mount Ida weren’t such a wonderful place they probably wouldn’t have been so upset, and it’s far from me to intrude on their graduation,” he said. Also late last month, members of the Senate oversight committee that held a hearing into the school’s closure and the UMass acquisition of the campus said they still have unanswered questions for Brown and Mount Ida chief financial officer Jason Potts and voted to send written questions to them and, if they do not answer, call them back in for another hearing, possibly with subpoenas. The committee issued a report noting a discrepancy between the explanations given by Mount Ida and Lasell officials about why their merger fell through. Committee Chairwoman Kathleen O’Connor Ives said she is also skeptical of how quickly the UMass deal came together afterward and wants more information about what transpired. “There was, in the opinion of the chair, significant wrongdoing that was done, there were deceitful practices, there were breaches of fiduciary duties,” O’Connor Ives said.